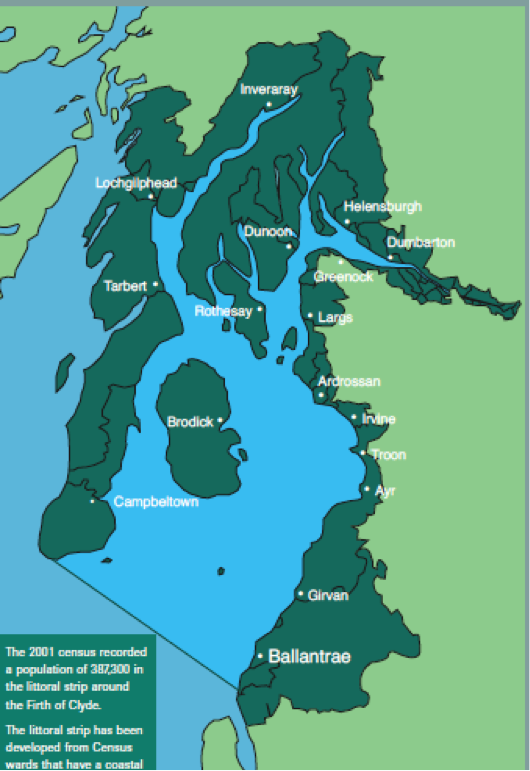 This is a pilot marine spatial plan, developed for the Firth of Clyde in Scotland, as part of a number of pilots to inform the development of marine planning in Scotland. How can sectors be developed sustainably in the Firth of Clyde? What information is available to support the planning and licensing of marine activities in the Firth of Clyde? How can it be ensured that developments are undertaken in line with national policy? This pilot project is one of a number around Scotland, set up under the Scottish Government’s Scottish Sustainable Marine Environment Initiative (SSMEI). Results from these pilots will help inform the future development of MSP in Scotland under the localised statutory planning system under the Marine (Scotland) Act. Therefore the experiences from the production of this final plan in 2010, based on voluntary organisation, regulators and public consultation will be of use in informing the future development of this diverse marine area and the communities that it supports. Establish an overarching policy framework to facilitate the sustainable development of activities within the Firth of Clyde. The project focussed specifically on the Firth of Clyde but is informative for the development of MSP elsewhere, particularly in Scotland.